Oats roti is a healthy and fiber rich Indian flatbread recipe which easy to make and taste also good. This roti is made with oats flour, wheat flour, onion and spices. To prepare oats flour, just roast the oats in dry pan and grind them till to flour consistency. Oats are a rich source of fibre which helps in controlling cholesterol. To make this healthy roti recipe just knead the dough with wheat flour and oats flour. To add flavors you can add onions, chilies, coriander, spices or any grated vegetables. Serve these healthy roti with fresh whipped curd and pickle. 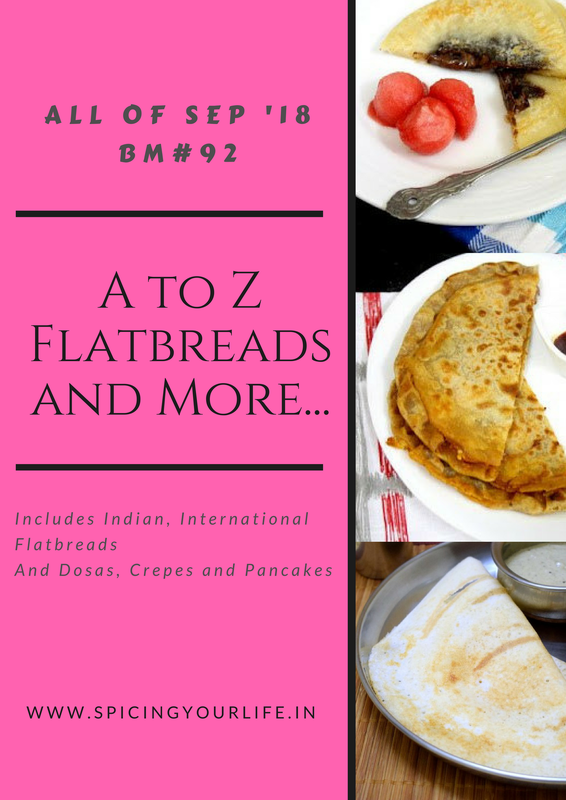 Aloo Cheese Paratha, Easy Sayel Roti, Green Chili Paratha, Banana Paratha, Gur Til Ka paratha, Chinni Ka Paratha and More. Dry roast the oats in pan and grind them to make oats flour. Combine the wheat flour, oats flour, onions, green chilies, coriander, salt and 1 tsp of oil and knead into a soft dough using a little water. Cover with a lid and keep aside for 10-15 minutes to set. Divide the dough into equal 6-8 portions. Roll it using rolling pin into round form. Heat the tawa on medium flame. Cook each roti and grease little oil, till to golden and cook from both sides. Serve immediately with curd and pickle. Oats roti is a healthy and fiber rich Indian flatbread recipe which easy to make and made with oats flour, wheat flour, onion and spices. Dry roast the oats in pan and grind them to make oats flour. Combine the wheat flour, oats flour, onions, green chilies, coriander, salt and 1 tsp of oil and knead into soft dough using a little water. Cover with a lid and keep aside for 10-15 minutes to set. Divide the dough into equal 6-8 portions. Roll it using rolling pin into round form. Heat the tawa on medium flame. Cook each roti and grease little oil, till to golden and cook from both sides. Serve immediately with curd and pickle. With all the ingredients went in this oats roti, am sure these rotis will definitely please anyone’s tastebuds. Adding onions, green chillies and coriander leaves to the rotis makes this fibre rich rotis more interesting. With all the added spices in the dough, this roti is such a flavourful treat for everyone. Adding oats flour makes it more nutritious and healthy.. I add oats all the time to my rotis but with all the spices I am sure this was a very flavorful paratha. Good one, Preeti. Oats masala roti looks delicious, I make something similar but for pancakes. A great way to sneak in some oats on a daily basis especially when kids refuse to have it in the porridge form. Oats has come to our rescue for the day! I love how good oats tastes in both dosas and rotis..You have made with masala and that must have tasted even better! Lovely roti with the oats. I love when I can use many different flours in our every day recipes. great recipe for breakfast! perfect oats masala roti. very healthy and gluten-free breakfast recipe.. This spiced version of Oats Roti is a nice way to get kids to have oats. Oats has been the populat choice for O today!